SOUP experimental and Cat Family Records are hosting their Supermoon Opening Reception, to celebrate their grand (re)opening at their new location, 3212 West Tennessee St, Tallahassee, FL 32310. They will be releasing their Art Club Clothing collaboration with Chilli Dull and Elton Burgest. 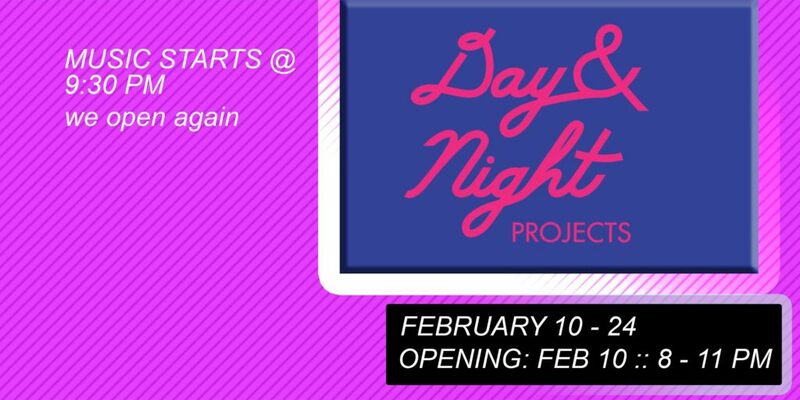 The exhibition will feature new artwork by Steven L. Anderson, Mark Leibert and William Downs, co-directors of Day & Night Projects in Atlanta, GA. The grand opening will be from 8:00pm to 11:00pm on Saturday, February 10th, with live music starting at 9:30pm. This exhibition is open to everyone and will continue through February 24th.